Starwood Hotels & Resorts has announced plans to open eight further hotels in China under the Sheraton brand this year, and another 18 by 2015. 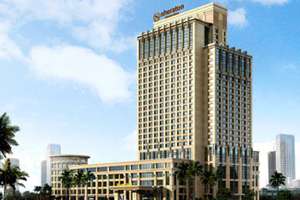 Sheraton’s new openings will include Sheraton Guangzhou Hotel and Sheraton Shanghai Hong Kou Hotel, followed by its second Beijing property, Sheraton Beijing Dongcheng Hotel, in 2011. The brand opened its 30th hotel in Greater China this month, Sheraton Zhongshan Hotel. Starwood president of global development Simon Turner said: "China is leading the?recovery in global tourism and by 2020 it is expected to be?the world's largest tourism market. As the Chinese pick up the pace of their domestic and international travel, they are going to stay with the brands they know, which will have a phenomenal impact on our global ?business."